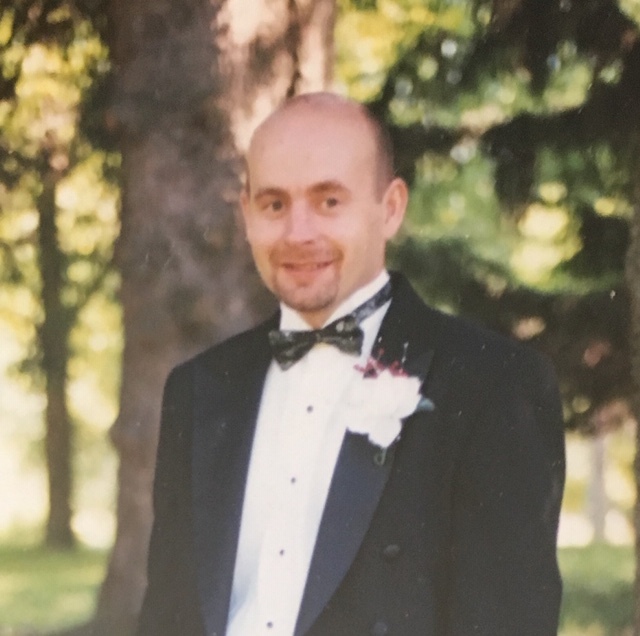 On Monday, April 8, 2019, Richard “Rick” Dean Bishop, of Anson, beloved father, son, brother, nephew, uncle, passed away unexpectedly at his home in North Anson, Maine. Rick was born on December 17, 1968, in Sanford, Maine, a son of Wilfred and Marcia Bishop. Rick grew up in Anson. Rick attended schools in Anson and Skowhegan and graduated from Skowhegan Area High School in 1987. Rick was most recently employed by Zampell Refractories out of Massachusetts where he was a Boilermaker. Rick’s pride and joy were his two daughters, Zoya Bishop and Oakley Lawrence, both of Kingfield, Maine. In Rick’s eyes, his beautiful little ladies could do no wrong. The sun rose and set in Zoya and Oakley. Rick lived everyday of his life to ensure these two ladies had everything and anything they needed and to ensure they knew how much he truly loved them. No father could ever love a child more than Rick loved his girls. Rick was the nicest, kindest, most giving person anyone would ever meet. You could be mad at Rick this morning and break down that same afternoon and Rick would be the first one at your side to help you out. Rick was an avid outdoorsman. He loved fishing and hunting with his mother, brothers, brothers-in-law and nephews every chance he could. Rick was a sports enthusiast. He was a true fan of the New England Patriots and Boston Red Sox. He loved bantering with relatives as to which team was the best, knowing in his heart that his teams were the best! Rick was predeceased by his father, Wilfred Joseph Bishop, Jr., of Anson, Maternal Grandmother Corliss Buzzell of Waterville, Maternal Grandfather Harold Buzzell Sr. of Biddeford, Paternal Grandparents Thelma and Frank Gleason of Anson and Wilfred Bishop, Sr., of Florida. Rick is survived by his three most favorite women: daughters Zoya Bishop and Oakley Lawrence of Kingfield and his mother, Marcia Bishop of Madison. Rick is also survived by his ex-wife Janel Hobbs of Kingfield. Siblings, Kelley Ricci and partner Denny Burnham of Florida, Scott Bishop and wife Luwana of Madison, Tammy Bishop and partner Lisa Hayes of Florida, Julie Ellis and husband Raymond Ellis, Sr. of Skowhegan, Robert Bishop and wife Rhonda of Madison, Sherry Bishop and husband Ronald Sawtelle of Waterville, and a very close nephew who was more of a brother, Michael Waugh and his wife Koren of Anson. Numerous aunts, uncles, nieces, nephews, and cousins. A celebration of life will take place at 1:00 p.m. at the home of Mike Waugh on 999 Anson Road in Starks. In lieu of flowers, donations can be made through the GoFundMe account that can be found at https://www.gofundme.com/richard-bishop-beloved-son-father-and-friend?